Sometimes the most unexpected things come full circle. 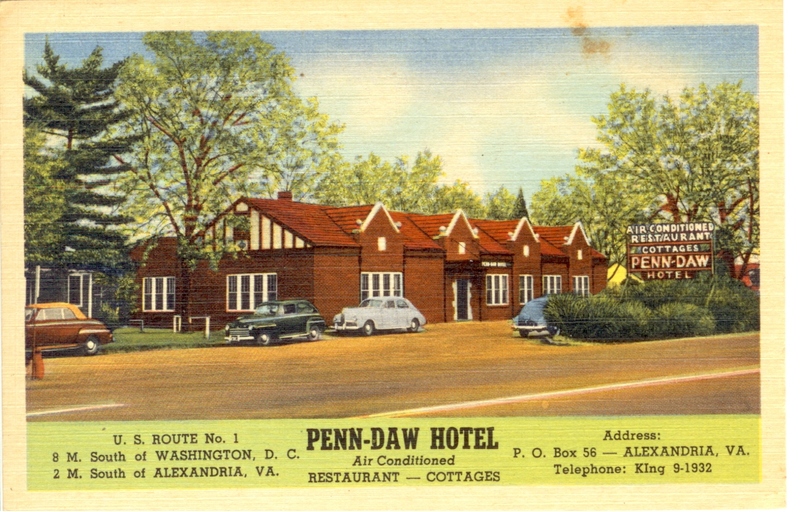 This was brought home to me recently when a camp alum sent me an article about an old motel — the Penn-Daw — that was located near to where I grew up in Alexandria. The story got me reminiscing because it was the the Penn-Daw motel from where we got so much of the furniture at camp. Interestingly, we (the Dawsons) also had a lot of the furniture at our home when we were growing up. There’s even a handful of the dining room chairs at my parents’ house today! So I thought it would be a fun aspect of camp history to get my dad, Sam Dawson, Director of Camp Alleghany, to write up a brief history of the motel and how we came to get all this furniture at camp. And it turns out that the story was more interesting than I thought because it wasn’t just any motor hotel from which we got this furniture — it was a family owned motor hotel, making the connection even stronger to camp. 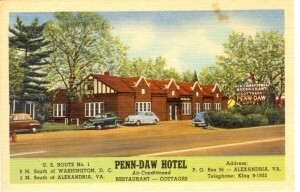 In 1927, my grandfather, S. Cooper Dawson, Sr., was approached by a Mr. E.M. Pennell of Detroit with the idea of starting a new Motor Hotel south of Alexandria, Virginia. 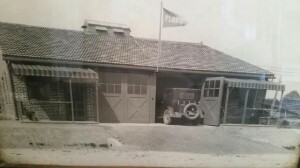 At the time my grandfather was building pre-fabricated garages, so the idea of a more robust business with consistently traveling guests seemed like a good idea. 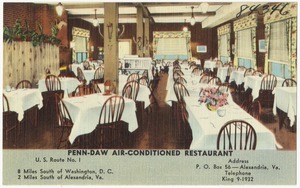 The Penn-Daw started out with the main building consisting of a front desk, a commissary with food — so guests could cook a small meal in their rooms — and a small public tea room. There were four buildings of guest rooms each with four rooms and each with a garage. 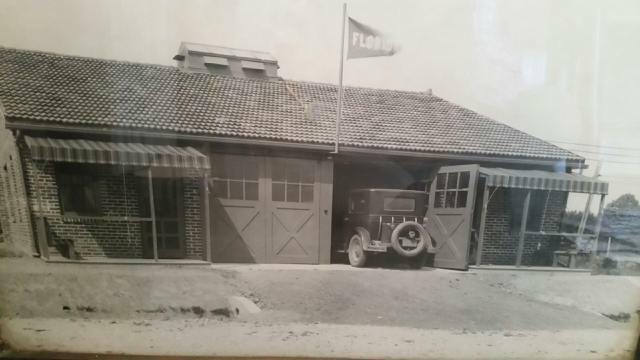 One of the guest buildings — The Florida Building — at the Penn-Daw. Photo: Dawson Family Archives. Six months after the Penn-Daw opened, Mr. Pennell had a heart attack and died. So the business became my grandfather’s to continue. The tea room only lasted until about 1930 when Papa realized that the traveling public would rather be served a full meal than have to worry about cooking something after driving on the highway. 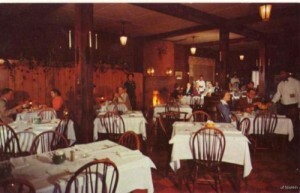 So he quickly changed the tea room to a full service restaurant that lasted until December, 1967. His son — my father — S. Cooper Dawson, Jr., worked for his dad for a bit in the 30s after working at St. Christopher’s School and the Maryland Casualty Company. Then, after World War II, he returned to Alexandria to run the restaurant. My dad became very active in promoting the Penn-Daw restaurant. He believed in buying quality equipment for both the kitchen and for use in the dining hall. 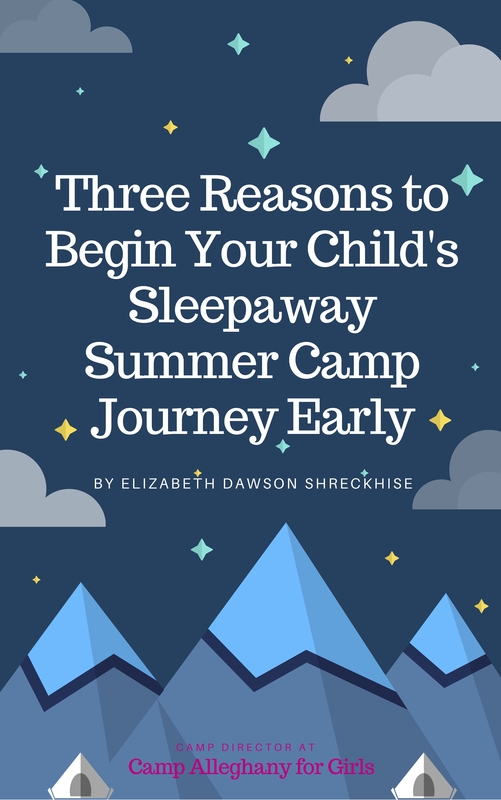 Little did he know then that the same quality equipment would be so durable and long-lasting that it would make its way into his later business venture in taking over Camp Alleghany for Girls. Now Camp Alleghany can boast the charms of some lovely vintage equipment! For example, the trays that our Hoppers use today were used by the waiters at the Penn-Daw! We also still have the old Penn-Daw china, although we don’t use it for the campers. Cooper also knew that stainless steel — an item that EVERY commercial kitchen has in abundance — does not go bad. When we had to close the restaurant because of declining motor vacation traffic at the end of 1967, Cooper brought every piece of stainless steel to Alleghany to be used in the kitchen. It is still used there to this day! The Hobart dishwasher that was only replaced two years ago was used at Penn-Daw in the 1960s. The same goes for a number of the cooking utensils, some current silverware and many other kitchen items. Talk about an investment that pays off in longevity, some of it for 60-70 years! Many items have, of course, been replaced in the past ten years but only because their replacement was needed. Years and years of use along with the humidity of summer and the storage of winter do take their toll. The majority of the Dining Hall chairs in Senior Camp didn’t come from Penn-Daw. They’re too fancy! They came from the Episcopal High School (EHS)! Dad heard that EHS was redoing their cafeteria dining room and bought the chairs for an inexpensive price. There are some of Penn-Daw’s old Windsor chairs still at camp. You’ll see some at the staff tables and in the Play Hall. Almost all of the arm chairs in the Counselors’ Lodge are from Penn-Daw and used to be in the guest rooms, as are the dressers in Cow Bell and the Cottage. Also a number of the random pictures on the walls of both the Cottage and Cow Bell are from the guest rooms at Penn-Daw. There’s even a picture hanging in the Cottage that shows a Model T Ford in mud up to its wheel hubs near Dumfries, Virginia. The road is US Route 1 and is now paved. Finally, Dad was so astute in business (and able to spot a durable piece of building material) that he brought the front door from the front building at Penn-Daw to Alleghany. It currently is the back door to the Cottage — that really extended its life. Now that I think about it, all this was pretty green of my dad! Not green in business (as in inexperienced) but rather green in today’s conservation sense. He preserved history, continuity, resources, and all that has left a smaller carbon footprint at Camp. Pretty forward thinking, don’t ya think? 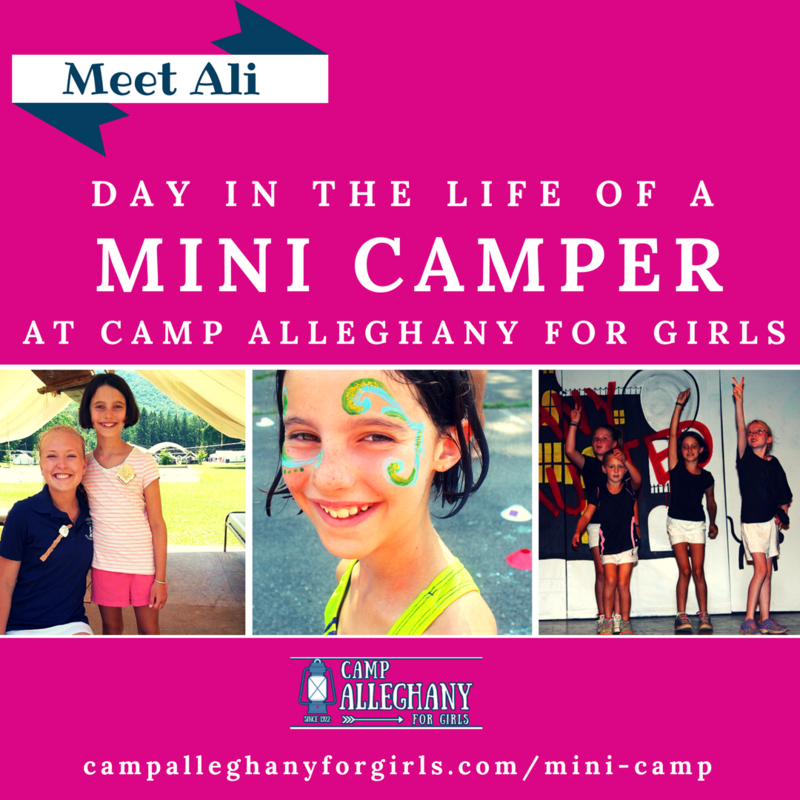 To this day, the history of the Penn-Daw Motel lives on at Camp Alleghany for Girls. I had so much fun learning the backstory on all of this and I hope you did, too!